JESUS, I can do NOTHING to save myself. Please SAVE ME. COME INTO MY HEART. I REPENT OF SIN and RECEIVE YOU NOW AS ONLY God and SAVIOR. 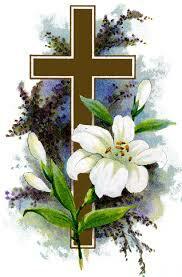 I believe you died for my sins and rose from the dead and TOOK AWAY MY SINS FOREVER. I TRUST YOU COMPLETELY & GIVE YOU ALL MY HEART AND ALL MY LIFE. The Bible consists of 39 Holy Spirit inspired Old Testament Books and 27 Holy Spirit inspired New Testament Books, totaling 66 Holy Spirit inspired Books. For the STARK DIFFERENCE between the Christian faith and WORLD RELIGIONS, please scroll down a little (begin reading just below the BIG CROSS). SOY PECADOR Y NECESITO SALVACIÓN. JESÚS, SÁLVAME. VEN A MI CORAZÓN. TE RECIBO COMO SEÑOR Y SALVADOR. TE ENTREGO TODO MI CORAZÓN Y TODA MI VIDA. Creo que moriste por mis pecados y resucitaste. AMÉN. JE SUIS PECHEUR ET J'AI BESOIN D'UN SAUVEUR. JESUS, SAUVE-MOI. ENTRES DANS MON COEUR. JE T'ACCEPTE COMME MON SEIGNEUR, MON SAUVEUR et MON DIEU. Je crois que tu es mort pour mes péchés et ressuscité d'entre les morts. JE TE DONNE TOUT MON COEUR ET TOUTE MA VIE. MERCY, SEIGNEUR. THE CHRISTIAN FAITH IS THE ONLY TRUE FAITH. "Because straight is the gate, and narrow is the way, which leads to life". . . [Matthew 7:14]. YOU CAN'T BE SAVED ANY WAY YOU WANT. GOD IS GOD. HE SETS THE RULES. HE'S NOT TAKING POLLS TO SEE HOW PEOPLE FEEL ABOUT HIS PLAN OF SALVATION. OUR PERSONAL OPINIONS ARE IRRELEVANT, WHERE SALVATION IS CONCERNED. MAN CAN INVENT AS MANY FALSE RELIGIONS AS HE WANTS, TO SUIT HIS WHIMS AND WARPED IMAGINATION, BUT THEY WON'T LEAD YOU TO GOD. PEOPLE MUST COME TO GOD, HIS WAY. HIS WAY IS THRU JESUS CHRIST. IT'S HIS WAY, OR "NO WAY"! Jesus said to him, I am THE way, and THE truth, and THE life: NO MAN COMES UNTO THE FATHER, BUT BY ME" [John 14:6]. "Neither is there salvation IN ANY OTHER: for there is NO OTHER NAME. 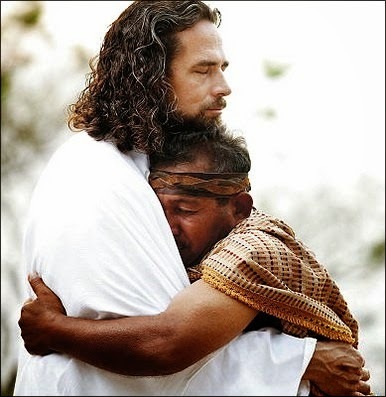 . . whereby we must be saved" [Acts 4:12]. You CAN'T be saved by just being "a good person" [whatever that means]. "NOT by works of righteousness [good works] that we have done, but according to His mercy He saved us, by the washing of regeneration [being re-born or born-again], and RENEWING [making us new again] OF THE HOLY SPIRIT" Titus 3:5]. IT'S NOT WHAT WE DO THAT SAVES US, IT'S WHAT HE DID. AND ONLY WHAT HE DID. 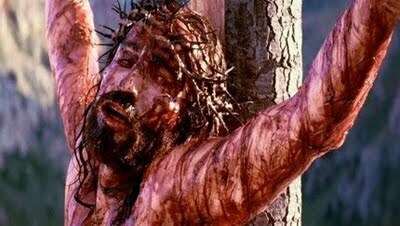 IF YOU COULD COME TO GOD ANY OTHER WAY, DO YOU THINK HE WOULD HAVE TAKEN OFF HIS GLORY, ENTERED A BODY OF FLESH, SPENT 33 YEARS IN THIS MISERABLE WORLD, AND THEN ALLOW HIMSELF TO BE DESPISED, MOCKED, BEATEN, LASHED, SPIT UPON, HAD A CLUMP OF THORNS STUCK INTO HIS SCALP,BEARD RIPPED OFF HIS FACE, CRUCIFIED, AND STABBED WITH A SPEAR??? DO YOU THINK HE WOULD HAVE SPENT THREE DAYS AND NIGHTS IN HELL ITSELF? ... SO YOU WOULDN'T HAVE TO GO THERE? DO YOU THINK HE DID ALL THAT BECAUSE HE HAD NOTHING BETTER TO DO? 'CAUSE HE WAS BORED BEING GOD? NO, HE DID IT BECAUSE THERE WAS NO OTHER WAY TO RECONCILE SINFUL HUMANITY TO HIMSELF. THERE'S REALLY NO COMPARISON BETWEEN CHRISTIANITY AND THE FALSE RELIGIONS OF THE WORLD. CHRISTIANITY IS FAAAAAR SUPERIOR. CHRISTIANITY IS, IN REALITY, NO RELIGION AT ALL, BUT A DYNAMIC, LIVING FAITH, BASED ON AN INTIMATE, PERSONAL RELATIONSHIP WITH THE CREATOR AND SAVIOR OF THE WORLD. 1.THE GOSPEL WAS ANNOUNCED ALL THE WAY BACK IN THE GARDEN OF EDEN [GENESIS 3:15]. CHRISTIANITY HAS STOOD THE TEST OF TIME. WHO REMEMBERS THE "GODS" OF ANTIQUITY? WHO WORSHIPS ZEUS, HERMES, APHRODITE OR APOLLOS? WHO WORSHIPS ZOROASTER, AMON-RA, ISIS, BAAL OR ASTEROTH? THEY'VE BEEN ALL BUT FORGOTTEN. ONLY THE GOD OF THE BIBLE, THE JUDEO-CHRISTIAN GOD, IS STILL WORSHIPED. PRAISE HIS NAME! 2. ONLY CHRISTIANITY GUARANTEES SALVATION. FALSE RELIGIONS CAN'T. YOU KNOW WHY? CAUSE THEY'‘RE FALSE. THEY'RE BASED ON LIES. HOW CAN SOMETHING FALSE GUARANTEE YOU ANYTHING? 3. CHRISTIANITY, AND ONLY CHRISTIANITY, OFFERS A SOLUTION TO THE SIN PROBLEM PLAGUING MANKIND. NO OTHER RELIGION DOES THAT. THE FOUNDERS OF WORLD RELIGIONS DIDN'T PAY FOR YOUR SINS. DIDN'T EVEN CLAIM TO DO SO: BUDDHA DIDN'T, CONFUCIUS DIDN'T, KRISHNA DIDN'T, ALLAH DIDN'T, MOHAMMED DIDN'T. These guys were sinners THEMSELVES. They THEMSELVES NEEDED SALVATION. How on earth, then, could they save OTHERS? 4. ONLY CHRISTIANITY OFFERS A PERSONAL RELATIONSHIP WITH THE CREATOR. OTHER RELIGIONS VIEW GOD AS SOMETHING ABSTRACT , LIKE THE UNIVERSE ITSELF. EVEN THOSE WHO REGARD GOD AS A PERSONAL ENTITY, LIKE ISLAM, OFFER NO DIRECT, INTIMATE RELATIONSHIP WITH HIM. IN CHRISTIANITY THE ONE AND ONLY, ALMIGHTY GOD, THE CREATOR, BECOMES YOUR VERY OWN FATHER! YOU ARE ADOPTED INTO HIS FAMILY AND BECOME HIS CHILD! YOU HAVE DIRECT ACCESS, THRU JESUS CHRIST, TO HIS VERY THRONE. WITH CHRISTIANITY, GOD HIMSELF COMES TO LIVE IN YOU! HAVING GOD LIVING IN YOU IS THE GREATEST, MOST WONDERFUL, MOST JOYOUS EXPERIENCE IN ALL THE WORLD. 5. ONLY THE CHRISTIAN FAITH GUARANTEES ETERNAL LIFE. FALSE RELIGIONS CAN'T GUARANTEE ETERNAL LIFE BECAUSE ALL THEIR FOUNDERS ARE DEAD. BUDDHA IS DEAD, CONFUCIUS IS DEAD, KRISHNA IS DEAD, ALLAH IS DEAD [THERE IS NO "ALLAH"], MOHAMMED IS DEAD. JESUS CONQUERED DEATH. WANT TO EXPERIENCE THE GREATEST "HIGH" IN ALL THE WORLD? WANT TO HAVE GOD HIMSELF LIVING IN YOU? WANT PROOF THAT JESUS IS ALIVE? INVITE HIM TO ENTER YOUR HEART RIGHT NOW. IF HE'S DEAD, LIKE ALL THE OTHERS, NOTHING WILL HAPPEN. YOU'LL BE THE SAME OLD YOU. IF HE IS ALIVE, [AND, TRUST ME, HE IS], HE WILL TRANSFORM YOUR LIFE... AND THAT'S A GUARANTEE! "All those that the Father gives me, will come to me. And he or she who comes to me I will in no way, for no reason, cast out" [John 6:37]. Although we are eternally on our faces in gratitude for what Jesus did on His "universal" cross, He said to "pick up your own," and follow Him. The church, in a desperate attempt to stay alive, has worshiped His cross, while ignoring their own! Loving sons have the trust of Isaac, and will allow the Father to have His good pleasure. Goats want to believe that His cross was substitutionary, meaning that He died, so that we don't have to. He served, so that we can be served. He became poor, so that we can become rich. He was humbled, so that we can be exalted. Although this is their favorite song, I can't seem to find the lyrics in my Bible! Can you? 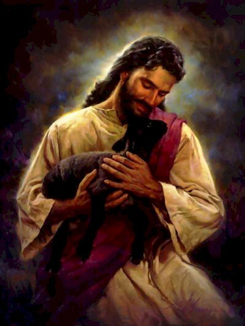 On the other hand, those who follow the Lamb, offer themselves up as a "living SACRIFICE." Our Father, with a tear in His eye and a song in His heart, drives the nails in deep, forsaking the one thing that separates you from Him, that being your "religious" self, [the partaker of the "knowledge of good and evil"], who, through shame [fear], has tried so long to hide your nakedness. So, WITH THE ABSOLUTE SURRENDER OF ONE WHOSE SIN IS TOTALLY EXPOSED, you finally throw yourself HELPLESSLY on the mercy of the Savior. 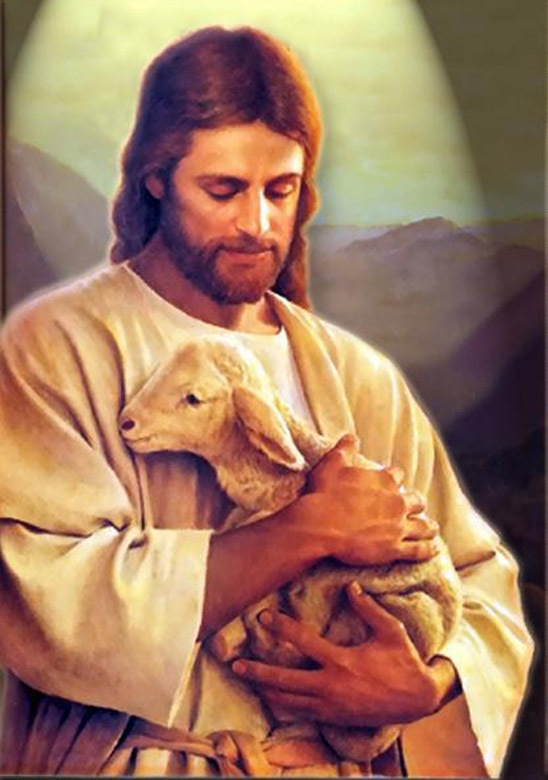 Oh praise the Lamb, the firstborn of us all....... HalleluYah! "For the preaching of the cross is to them that perish foolishness, but unto us who are saved it is THE POWER of God" [1 Corinthians 1:18]. How can the cross of Christ be THE POWER of God? How can a seemingly helpless, bleeding, agonizing, mocked, despised, 33-year old Jew NAILED to, and hanging from, a chunk of wood BE POWERFUL? For starters, there MUST BE unimpeachable Truth to that biblical statement because that seemingly helpless Jew today has over 2 billion adoring followers, is THE CENTRAL FIGURE in history, and we even measure time by Him. 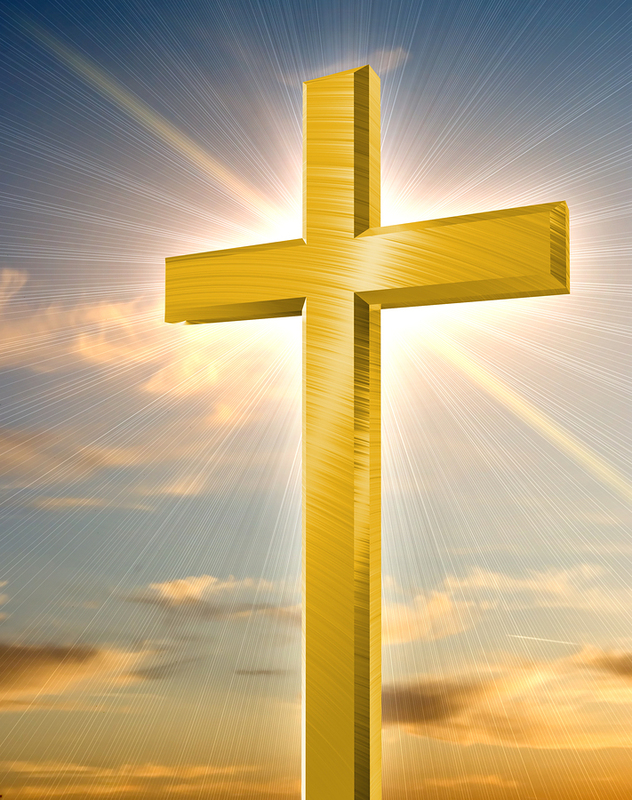 Why is the cross of Christ powerful? Because on that cross God, IN Christ, reconciled the whole world unto Himself. Because on that cross EVERY SIN, including Adam's original sin, was TOTALLY AND COMPLETELY PAID FOR. Because on that cross every enemy of God, satan, sin, death, and alienation was TOTALLY DEFEATED. Because by dying IN OUR STEAD, He made it possible for EVERYONE who is WILLING to become a SON of God, His legal heirs and joint-heirs with Jesus the Messiah. Because by BUYING US BACK, for and unto Himself, He acquired the RIGHT TO PUT HIMSELF, HIS VERY OWN NATURE [SPIRIT] BACK INSIDE OF US. Glory to Jesus forevermore! Jesus is NO LONGER HANGING on that cross. He's sitted at the Father's Right Hand and, like it or not, in less than 8 years He will set up His Everlasting Kingdom on earth. It's up to each of us to either take up our self and deny His cross... or to DENY our self and TAKE UP HIS CROSS. 1. The Bible is the infallible, inerrant Word of God and is the final authority on everything. 2. There's One Almighty, eternal God, who manifests Himself as Father, Son and Holy Spirit. 3. 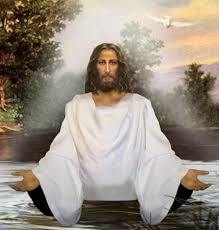 Jesus Christ is God manifested in human form. 4. Jesus was born of a virgin. 5. Jesus lived, died, was buried, and physically rose from the dead. 6. Jesus in your heart = COMPLETE salvation. There's no salvation in any other person, or by any other means. Salvation is faith in Jesus alone, NOT faith in Jesus "PLUS" something else. 7. Jesus will someday return to earth to set up His everlasting Kingdom on earth. There are many so-called Christians who deny the Deity of our Lord. "Well, as long as they "believe in Jesus", what's so terrible about THAT"? If Jesus ISN'T God, then NO ONE IS SAVED. If Jesus ISN'T God, then He COULD NOT redeem mankind, for the simple reason that He COULD NOT JOIN the human nature and the God nature IN HIMSELF. Sin separated man from God. It took a total man, who is ALSO TOTALLY GOD, to REUNITE THE TWO. "UNLESS you shall believe that I AM THE LIVING GOD (Yahweh, or the anglicized Jehovah, meaning "I AM"), YOU SHALL DIE IN YOUR SINS." Those who "die in their sins" ARE NOT SAVED. "God was IN CHRIST reconciling the world UNTO HIMSELF, not counting men's sins against them"
The Lord said to my Lord: sit at my Right Hand until I make your enemies your footstool". For unto us a child is born, unto us a Son is given, and the government shall be upon His Shoulder: and His name shall be called Wonderful, Counselor, THE MIGHTY GOD, The Everlasting Father, the Prince of Peace". Behold a virgin shall conceive, and shall bring forth a son, and they shall call His Name Emmanuel, which translated means "GOD with us". "And every creature which is in heaven, and on the earth, and under the earth, and such as are in the sea... I heard saying: "BLESSING, AND HONOR, AND GLORY, AND POWER BE UNTO HIM THAT SITS ON THE THRONE AND UNTO THE LAMB FOR EVER AND EVER". "And again, when He brings the first begotten (Jesus) into the world He (God) says, and let ALL THE ANGELS OF GOD WORSHIP HIM". "For in Him (Jesus) dwells ALL THE FULLNESS of the Godhead, bodily". Who, BEING IN VERY NATURE God, THOUGHT IT NOT ROBBERY TO BE EQUAL WITH GOD: but made Himself of no reputation, and took upon Him the form of a servant, and was made in the likeness of men..."
"...Who being the brightness of His Glory, and the express Image of His Person (God's), and upholding ALL THINGS by the Word of His Power, when He HAD by Himself PURGED OUR SINS, sat down on the Right Hand of the Majesty on high". "From Simon Peter, a slave and apostle of Jesus Christ, to those who thru the righteousness of our God and Savior, Jesus Christ, have been granted a faith, just as precious as ours". "And Thomas answered and said unto Him, MY LORD AND MY GOD". (Jesus speaking) "And He said to me, It is done. I AM Alpha and Omega, the beginning and the end. I will give to him that is thirsty of the fountain of the water of life freely. He that overcomes shall inherit all things; and I WILL BE HIS God, and he shall be my son". "Looking for that blessed hope, and the glorious appearing of our Great God and Savior Jesus Christ". "...that we may know Him that is true, and we are in Him that is true, even in His Son Jesus Christ. This is THE TRUE GOD, AND ETERNAL LIFE". "And without controversy, great is the mystery of godliness: God was MANIFEST IN THE FLESH, justified in the Spirit, seen of angels, preached unto the Gentiles, believed on in the world, received up into glory". "Theirs are the patriarchs, and from them is traced the human ancestry of the Messiah, WHO IS God OVER ALL, forever praised! Amen". But to the Son He (God) says, YOUR THRONE, O GOD, is forever and ever... [see also Psalms 45:6]. The word used for "God" in all these verses is theos in Greek, which unequivocally refers to THE Supreme God or Supreme Deity. The one common thread shared by all cults and false religions is DENYING THAT JESUS IS GOD. Sinful men say He's not God. God the Father says that Jesus, the Son, is GOD. Whom are you going to believe, God or man? The God who created the UNIVERSE, the ONE AND ONLY, ALMIGHTY God (Jesus), WHO LOVES YOU SO MUCH THAT HE CAME IN HUMAN FORM TO SAVE YOU, WANTS TO LIVE IN YOUR HEART. Won't you receive Him NOW? DEAR READER, HAVE A GREAT DAY! Features: who is the antichrist today? end of the world, when will the world end? is the antichrist alive? is the antichrist alive? who is the antichrist? SIGNS of the Antichrist, signs of the last days, prophecy in the news, cloud prophecy, end of days prophecies, prophecy watch, rapture 2010, end of days prophecies, mabus, who will be the antichrist, revelations, end of times, is obama the antichrist, end times report, saint malachy prophecy, antichrist revealed, prophecies for 2010, rapture fall 2010, revelation. Features: who is the antichrist today? end of the world, when will the world end? is the antichrist alive? is the antichrist alive? who is the antichrist? prophecy in the news, cloud prophecy, end of days prophecies, prophecy watch, rapture 2010, end of days prophecies, mabus, who will be the antichrist, revelations, end of times, is obama the antichrist, end times report, saint malachy prophecy, antichrist revealed, prophecies for 2010, rapture fall 2010, revelation, catholic prophecy, 4 horsemen of the apocalypse, revelations, prince william antichrist, prophecy for catholics, eschatology 101, signs of the apocalypse. END TIMES END TIMES END TIMES LIKE YOU NEVER HEARD BEFORE! catholic prophecy, 4 horsemen of the apocalypse, revelations, prince william antichrist, prophecy for catholics, eschatology 101, signs of the apocalypse. endtimes 2010. 2010 endtimes, nationality of antichrist, name of antichrist, antichrist identity, where will the antichrist come from? When was the antichrist born? time of the rapture, when is the rapture, where was the antichrist born? 2010 prophecy. Rapture timeline 2010, tribulation timeline, end times made easy. The endtimes are here. Are we living in the endtimes? You'll never hear this from Hal Lindsay, Grant Jeffrey, Jack Van Impe, Tim La Haye, J.R. Church, John Hagee, or Perry Stone, Bill Cloud LAST DAYS, LAST DAYS, LAST DAYS, SIGNS of the Antichrist, signs of the last days END OF TIME, END OF TIME, END OF TIME, ENDTIMES, ENDTIMES, ENDTIMES PROPHECY PROPHECY PROPHECY PROPHECY PROPHECY PROPHECY END TIMES END TIMES END TIMES END TIMES END TIMES END TIMES LIKE YOU NEVER HEARD BEFORE! PROPHECY PROPHECY PROPHECY END TIMES END TIMES END TIMES END TIMES END TIMES END TIMES LIKE YOU NEVER HEARD BEFORE! LIKE YOU NEVER HEARD BEFORE! PROPHECY PROPHECY PROPHECY PROPHECY PROPHECY PROPHECY END TIMES END TIMES END TIMES END TIMES END TIMES END TIMES LIKE YOU NEVER HEARD BEFORE! You wont hear this on ABC, CBS, NBC, PBS, FOX NEWS, CNN, MSNBC, CNBC, HLN, DISCOVERY, HISTORY CHANNEL, HBO, AMC, A&E, USA, TBS, OR TLC. Features: Martel Trevor... who is the antichrist today? end of the world, when will the world end? is the antichrist alive? is the antichrist alive? who is the antichrist? SIGNS of the Antichrist, signs of the last days, prophecy in the news, cloud prophecy, end of days prophecies, prophecy watch, rapture 2010, end of days prophecies, mabus, who will be the antichrist, revelations, end of times, is obama the antichrist, end times report, saint malachy prophecy, the last pope, prophecy about the popes, peter the roman, tarcisio bertone, cardinal bertone antichrist revealed, prophecies for 2010, rapture fall 2010, revelation. the true antichrist obama antichrist 2012 is the antichrist alive today prophecy 2014 antichrist characteristics rosh hashanah 2014 rapture wormwood prophecy, st. malachi prophecy, the last pope, prophecy about the popes, peter the roman, tarcisio bertone, cardinal bertone where will the antichrist come from, end of days bible prophecy, bible codes, antichrist, are we in the end times, revelation 9 11, is the antichrist alive today? saint malachi's prophecy, lake of fire, the last pope, is this the end times? Are we in the end times? You wont hear this on ABC, CBS, NBC, PBS, FOX NEWS, CNN, MSNBC, CNBC, HLN, DISCOVERY, HISTORY CHANNEL, HBO, AMC, A&E, USA, TBS, OR TLC.Features: who is the antichrist today? end of the world, when will the world end? is the antichrist alive? is the antichrist alive? who is the antichrist? prophecy in the news, cloud prophecy, end of days prophecies, prophecy watch, rapture 2010, end of days prophecies, mabus, who will be the antichrist, revelations, end of times, is obama the antichrist, end times report, saint malachy prophecy, the last pope, prophecy about the popes, peter the roman, tarcisio bertone, cardinal bertone antichrist revealed, prophecies for 2010, rapture fall 2010, revelation. Martel Trevor the true antichrist obama antichrist 2012 is the antichrist alive today prophecy 2010 antichrist characteristics rosh hashanah 2010 rapture wormwood prophecy, st. malachi prophecy, where will the antichrist come from, end of days bible prophecy, bible codes, antichrist, are we in the end times, revelation 9 11, is the antichrist alive today? saint malachi's prophecy, lake of fire, the last pope, is this the end times? Are we in the end times? You won't hear this on TBN, CBN, Inspiration Network, I Network, or Sky Angel PROPHECY PROPHECY PROPHECY PROPHECY PROPHECY PROPHECYEND TIMES END TIMES END TIMES END TIMES END TIMES END TIMES LIKE YOU NEVER HEARD BEFORE! You'll never hear this ABOUT PROPHECY from Hal Lindsay, Grant Jeffrey, Jack Van Impe, Tim La Haye, J.R. Church, John Hagee, or Perry Stone, Bill Cloud PROPHECY PROPHECY PROPHECY PROPHECY PROPHECY PROPHECY END TIMES END TIMES END TIMES END TIMES END TIMES END TIMES LIKE YOU NEVER HEARD BEFORE! You wont hear this on ABC, CBS, NBC, PBS, FOX NEWS, CNN, MSNBC, CNBC, HLN, DISCOVERY, HISTORY CHANNEL, HBO, AMC, A&E, USA, TBS, OR TLC. Features: who is the antichrist today? end of the world, when will the world end? is the antichrist alive? is the antichrist alive? who is the antichrist? prophecy in the news, cloud prophecy, end of days prophecies, prophecy watch, rapture 2010, end of days prophecies, mabus, who will be the antichrist, revelations, end of times, is obama the antichrist, end times report, saint malachy prophecy, the last pope, prophecy about the popes, peter the roman, tarcisio bertone, cardinal bertone antichrist revealed, prophecies for 2010, rapture fall 2010, revelation. the true antichrist obama antichrist 2012 is the antichrist alive today prophecy 2010 antichrist characteristics rosh hashanah 2010 rapture wormwood prophecy, st. malachi prophecy, where will the antichrist come from, end of days bible prophecy, bible codes, antichrist, are we in the end times, revelation 9 11, is the antichrist alive today? saint malachi's prophecy, lake of fire, the last pope, prophecy about the popes, peter the roman, tarcisio bertone, cardinal bertone the last pope, is this the end times? Are we in the end times? You wont hear this on ABC, CBS, NBC, PBS, FOX NEWS, CNN, MSNBC, CNBC, HLN, DISCOVERY, HISTORY CHANNEL, HBO, AMC, A&E, USA, TBS, OR TLC Features: who is the antichrist today? end of the world, when will the world end? is the antichrist alive? is the antichrist alive? who is the antichrist? prophecy in the news, cloud prophecy, end of days prophecies, prophecy watch, rapture 2010, end of days prophecies, mabus, who will be the antichrist, revelations, end of times, is obama the antichrist, end times report, saint malachy prophecy, the last pope, prophecy about the popes, peter the roman, tarcisio bertone, cardinal bertone antichrist revealed, prophecies for 2010, rapture fall 2010, revelation. prophecy 2010 antichrist characteristics rosh hashanah 2010 rapture wormwood prophecy, st. malachi prophecy, where will the antichrist come from, end of days bible prophecy, bible codes, antichrist, are we in the end times, revelation 9 11, is the antichrist alive today? saint malachi's prophecy, the last pope, prophecy about the popes, peter the roman, tarcisio bertone, cardinal bertone lake of fire, the last pope, is this the end times? Are we in the end times? You'll never hear this ABOUT THE END TIMES from Hal Lindsay, Grant Jeffrey, Jack Van Impe, Tim La Haye, J.R. Church, John Hagee, or Perry Stone, Bill Cloud. You'll never hear this from Hal Lindsay, Grant Jeffrey, Jack Van Impe, Tim La Haye, J.R. Church, John Hagee, or Perry Stone, Bill Cloud. You wont hear this about prophecy on ABC, CBS, NBC, PBS, FOX NEWS, CNN, MSNBC, CNBC, HLN, DISCOVERY, HISTORY CHANNEL, HBO, AMC, A&E, USA, TBS, OR TLC. will the world end? is the antichrist alive? is the antichrist alive? who is the antichrist? prophecy in the news, cloud prophecy, end of days prophecies, prophecy watch, rapture 2010, end of days prophecies, mabus, who will be the antichrist, revelations, end of times, is obama the antichrist, end times report, saint malachy prophecy, antichrist revealed, prophecies for 2010, rapture fall 2010, revelation. the true antichrist obama antichrist 2012 is the antichrist alive today prophecy 2010 antichrist characteristics rosh hashanah 2010 rapture wormwood prophecy, st. malachi prophecy, the last pope, prophecy about the popes, peter the roman, tarcisio bertone, cardinal bertone where will the antichrist come from, end of days bible prophecy, bible codes, antichrist, are we in the end times, revelation 9 11, is the antichrist alive today? saint malachi's prophecy, lake of fire, the last pope, is this the end times? Are we in the end times? You wont hear this about the end times on ABC, CBS, NBC, PBS, FOX NEWS, CNN, MSNBC, CNBC, HLN, DISCOVERY, HISTORY CHANNEL, HBO, AMC, A&E, USA, TBS, OR TLC. Features: who is the antichrist today? end of the world, when will the world end? is the antichrist alive? is the antichrist alive? who is the antichrist? prophecy in the news, cloud prophecy, end of days prophecies, prophecy watch, rapture 2010, end of days prophecies, mabus, who will be the antichrist, revelations, end of times, is obama the antichrist, end times report, saint malachy prophecy, antichrist revealed, prophecies for 2010, rapture fall 2010, revelation. the true antichrist obama antichrist 2012 is the antichrist alive today prophecy 2010 antichrist characteristics rosh hashanah 2010 rapture wormwood prophecy, st. malachi prophecy, where will the antichrist come from, end of days bible prophecy, bible codes, antichrist, are we in the end times, revelation 9 11, is the antichrist alive today? saint malachi's prophecy, the last pope, prophecy about the popes, peter the roman, tarcisio bertone, cardinal bertone lake of fire, the last pope, is this the end times? Are we in the end times? You won't hear this about prophecy on TBN, CBN, Inspiration Network, I Network, or Sky Angel. You can contact me at christco@christconnection.net PROPHECY PROPHECY PROPHECY PROPHECY PROPHECY PROPHECY END TIMES END TIMES END TIMES END TIMES END TIMES END TIMES LIKE YOU NEVER HEARD BEFORE! END TIMES END TIMES END TIMES END TIMES END TIMES END TIMESLIKE YOU NEVER HEARD BEFORE! You won't hear this on TBN, CBN, Inspiration Network, I Network, or Sky Angel about bible PROPHECY PROPHECY PROPHECY PROPHECY PROPHECY PROPHECY END TIMES END TIMES END TIMES END TIMES END TIMES END TIMES LIKE YOU NEVER HEARD BEFORE! You wont hear this about Bible prophecy on ABC, CBS, NBC, PBS, FOX NEWS, CNN, MSNBC, CNBC, HLN, DISCOVERY, HISTORY CHANNEL, HBO, AMC, A&E, USA, TBS, OR TLC Bible prophecy. You won't hear this about Bible prophecy on TBN, CBN, Inspiration Network, I Network, or Sky Angel Bible prophecy. prophecy 2010 antichrist characteristics rosh hashanah 2010 rapture wormwood prophecy, st. malachi prophecy, where will the antichrist come from, end of days bible prophecy, bible codes, antichrist, are we in the end times, revelation 9 11, is the antichrist alive today? saint malachi's prophecy, lake of fire, the last pope, is this the end times? Are we in the end times? END TIMES END TIMES END TIMESLIKE YOU NEVER HEARD BEFORE! You won't hear this on TBN, CBN, Inspiration Network, I Network or Sky Angel. You won't hear this on TBN, CBN, Inspiration Network, I Network, or Sky Angel PROPHECY PROPHECY PROPHECY PROPHECY PROPHECY PROPHECY END TIMES END TIMES END TIMES END TIMES END TIMES END TIMES LIKE YOU NEVER HEARD BEFORE! LIKE YOU NEVER HEARD BEFORE! You won't hear this on TBN, CBN, Inspiration Network, I Network, or Sky Angel PROPHECY PROPHECY PROPHECY PROPHECY PROPHECY PROPHECY END TIMES END TIMES END TIMES END TIMES END TIMES END TIMES LIKE YOU NEVER HEARD BEFORE! You won't hear this on TBN, CBN, Inspiration Network, I Network, or Sky Angel. You wont hear this on ABC, CBS, NBC, PBS, FOX NEWS, CNN, MSNBC, CNBC, HLN, DISCOVERY, HISTORY CHANNEL, HBO, AMC, A&E, USA, TBS, OR TLC.Features: who is the antichrist today? end of the world, when will the world end? is the antichrist alive? is the antichrist alive? who is the antichrist? prophecy in the news, cloud prophecy, end of days prophecies, prophecy watch, rapture 2010, end of days prophecies, mabus, who will be the antichrist, revelations, end of times, is obama the antichrist, end times report, saint malachy prophecy, antichrist revealed, prophecies for 2010, rapture fall 2010, revelation. the true antichrist obama antichrist 2012 is the antichrist alive today prophecy 2010 antichrist characteristics rosh hashanah 2010 rapture wormwood prophecy, st. malachi prophecy, where will the antichrist come from, end of days bible prophecy, bible codes, antichrist, are we in the end times, revelation 9 11, is the antichrist alive today? saint malachi's prophecy, lake of fire, the last pope, is this the end times? Are we in the end times? This is better than John Hagee prophecy or Hal Lindsey Prophecy. It's REAL Bible prophecy. This is more biblical than Hagee revelation or Hal Lindsey revelation. It's REAL Spirit relvelation based on God's Word. END TIMES END TIMES END TIMES You wont hear this on ABC, CBS, NBC, PBS, FOX NEWS, CNN, MSNBC, CNBC, HLN, DISCOVERY, HISTORY CHANNEL, HBO, AMC, A&E, USA, TBS, OR TLC Features: who is the antichrist today? end of the world, when will the world end? is the antichrist alive? is the antichrist alive? who is the antichrist? prophecy in the news, cloud prophecy, end of days prophecies, prophecy watch, rapture 2010, end of days prophecies, mabus, who will be the antichrist, revelations, end of times, is obama the antichrist, end times report, saint malachy prophecy, antichrist revealed, prophecies for 2010, rapture fall 2010, revelation. antichrist rapture timeline who will be the next pope?